Be careful in determining whether you're eligible to claim an exemption. One of the first things you have to decide when filing a tax return, after selecting a filing status, is whether you should file as someone else's dependent or independently. Although you can be claimed as someone else’s exemption while still filing your own return in the same tax year, you need to understand the tax guidelines that govern such a decision. A simple mistake in this regard can result in months of work trying to correct it. You can claim two types of exemptions on your income tax return: personal exemptions and exemptions for dependents. You can deduct $3,800 from your taxable income for each dependent you claim. For example, if you claim yourself and your child, you can deduct $7,600. You are generally allowed one exemption for yourself and one for anyone else you are eligible to claim. At the end of the tax year you can choose to file your own tax return and claim yourself, you can choose to be claimed as a dependent on someone else’s tax return or you can allow someone else to claim your exemption on her return while you file a return and claim zero exemptions. You cannot claim your own exemption and allow someone else to also claim your exemption during the same tax year. In addition, you must meet certain guidelines to be claimed on someone else's return. For example, to be claimed as a qualifying child on some else’s return, you must have lived with that person for more than half of the tax year, be under the age of 19 (or 24 if a full-time student), have more than half your support provided by the person claiming you and be the taxpayer’s child, step-child, foster child, sibling, step-sibling or a descendant of one of these individuals. 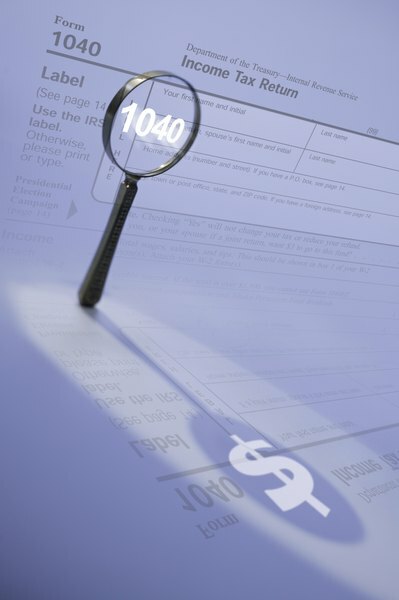 For tax year 2012, taxpayers can deduct $3,800 for each exemption claimed on their income tax return. Your spouse is never considered your dependent. You can either file jointly with your spouse or, if you’re filing separately, you can claim your spouse’s exemption if he earned no gross income and was not claimed by another taxpayer. Even if someone claims you on his return, you may still be required to file your own return if your income meets the filing requirement. If you mistakenly claim both your own exemption and allow someone else to claim you as well, correct the problem by completing IRS Form 1040X. Allow eight to 12 weeks for the IRS to process your amended return. IRS.gov: Who Can I Claim as a Dependent? Can I Get a Deduction for Unrelated Children?